The foreman of NuCrete Construction and a Sharpsville Volunteer Firefighter guide the rescue gurney out of a 15 foot put on June 16, 2015. 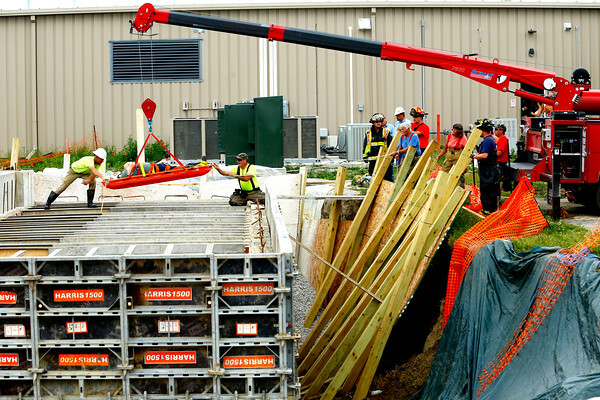 The concrete worker was one of the workers building the forms for a 155,000 gallon holding tank for Functional Devices as part of their Tipton County expansion. The Tipton County highway department supplied the crane.